If you are an ardent tourist, you will definitely have a swell time with River Murray cruises. The journey offers a wonderful experience. How would you like to cruise on smooth and quiet waters? What attracts people mostly to River Murray cruises is its closeness to nature. You will get to see and probably take snapshots of various kinds of rare species of birds. In addition, you will also get close to several kinds of flora and fauna. In some of the banks of River Murray are over 100-foot beautiful limestone cliffs, gum and mallee trees. You should bring your digital camera along for River Murray cruises because of its fascinating views of the wonderful landscape. Every view is worthy of your camera shots. The landscape looks different from different views. RiverGum Cruises stand out of the crowd. These cruises offer several hot vacation destinations like Lock 2, Overland Corner, Caudo Vineyard, and Banrock Station. It is important to let you know that each of these destinations offers a unique experience. There are several cafes, restaurants, and licensed bars for guests. Some of the guests may be interested in taking a cup of tea, coffee, beer, or local wines. Imagine sipping hot coffee while enjoying the view at one of the banks of River Murray. It is a great experience and that is why some guests come back for more. Since the cruises can accommodate up to 11 people at once, it is a great idea for family vacation or friends’ get together. The tours are also great for Christmas function and business lunch. This is why the operator of the cruises accepts group bookings. While the cruises have never witnessed any accident, they still stock their boat with life jackets as a safety measure. Since the tours last for about 2 hours, guests could get pressed in the middle of the tour. This is why there are toilet facilities on board. To make the best of the tours, guests are advised to come along with their cameras, hats, and sunscreens. The tranquillity of the tours is also worthy of mention. Some of the cruises have been outlined right below. For this trip, guests will cruise to Yarra Cliffs. Some of the sights this trip offers are the 200 year-old canoe tree, wildlife, and magnificent limestone cliffs. The return trip will be to the Waikerie riverfront. This offers a highly stunning landscape. This is one of the reasons you should bring your camera. This cruise spans approximately 2 hours and it costs AUD $60pp. This cruise takes you past the houseboat marina and it also offers great limestone cliffs. What makes it unique is the different species of birds that it offers. This cruise also lasts for 2 hours and it costs AUD $60pp. Limestone is one of the many spectacular visions Mother Nature has provided us here in the Murray River. Limestone isn’t any ordinary rock; it’s a sedimentary rock. Sedimentary means it is composed of mainly skeletal fragments of marine organisms. You will see organisms such as forams, coral, and molluscs for example. The material it’s made of aragonite and calcite. Aragonite and calcite are different crystal forms of calcium carbonate. Our broken limestone cliffs are a magnificent sight to see! The Murray River is ancient, its natural history dates back 130 million years, and it’s all there recorded in the limestone. Amazing! So this is one of the incredible things you will get to see and photograph on this particular cruise. You will also get to see the houseboat marina, a lovely and tranquil place. As always, expect to see a variety of local wildlife. If you are an avid birdwatcher or just a lover of birds, you may see some of the following — birds such as Eagles, White-Winged Trillers, Whistling Kites, or a Tawny Frogmouths. Watching birds is extremely relaxing and a nice change from getting your entertainment online and staring at your cell phone. We need to take a break from that to be healthy. There are 350 species of birds in the Murray area, that’s a lot. Why not get a book of birds and see how many different species you can spot? This cruise is 3 hours long. Prices start at AUD $99pp. Not bad for taking on some of the best views of the mighty Murray! Sunset has to be everybody’s favourite part of the day as the sunsets and magically kisses the horizon. Each late afternoon it displays just for us a one of a kind original piece of artwork. I don’t think enough can be said about its beauty. During that short time, there also comes about a special type of light that illuminates everything making everything that is already breathtaking even more so. There is no better way to appreciate this natural wonder than while on one our river cruises. That is why we created the Sunset Cruise. For those of you that love taking photos, have your camera ready! Images worthy of framing and memorising forever are guaranteed. If you have a special someone, the romantic sunset cruise is a date they will never forget and also a very unique date. This is true especially if you have already run the gamut of the typical movie and restaurant date. This is your opportunity to show them something special. It’s also our opportunity to show you something extraordinary. This cruise is 2 hours long and starts at AUD $60pp. The Banrock Station Cruise is a gorgeously long and leisurely day cruise from Adelaide. This relaxing cruise takes you to Banrock Station, and the cool thing is cruises depart morning and afternoon. It’s nice to have a choice because there are two kinds of people, morning people, and non-morning people! The non-morning types may feel a little-tired forcing themselves to get up early. Thus they may miss out on some of the fun due to feeling worn out or cranky. We all know somebody like this if we are not THAT person. It’s nice to sleep in on your day off if you are not one of those early rise and shine people. If you are an early bird we are here and ready cruising the Murray bright eyed and bushy tailed. What is featured in the Banrock Station Cruise is we take you to enjoy local wines and delicious meals. 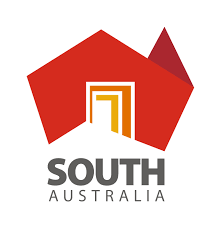 South Australia is famous for its food and wine. What a lovely way for food and wine lovers to enjoy the day, early or late. Great food and wine combined with gliding along the smooth Murray River water and enjoying the sights is a sensory overload. Something we should all treat ourselves to when possible. Life is not about work and responsibilities only one needs a balance. Getting in touch with nature and relaxing is all an essential part of that balance. This 8-hour cruise starts from AUD $135pp. The Caudo’s Wine and Dine Cruise is a favourite of many! This cruise also launches twice a day, a morning cruise and an afternoon cruise. You will be gently traveling over the Murray River water to the famous Caudo vineyard. Once you arrive, you will be presented with a sumptuous BBQ grill and served mouth-watering Sangria. Aside from the BBQ, I know you are looking forward to enjoying a one of a kind wine tasting experience. Apart from a wide variety of wine to sample you will have a variety of cuisines to taste as well. Yummy morning and afternoon trips last around 8 hours and start at AUD $135pp. As you can see we like to keep our guests well fed. The Overland Corner Cruise also offers morning and afternoon departures. On this trip, we take our hungry guests to the Overland Corner Hotel. At this lovely hotel, you will be treated with sumptuous Australian cuisine and wine — what a perfect way to relax after enjoying the scenic and beautiful Murray River. Later on something else fun is in store for you. Boarding the Qatar and spending the entire afternoon cruising and enjoying even more of the majestic Murray River all the way to Waikerie. 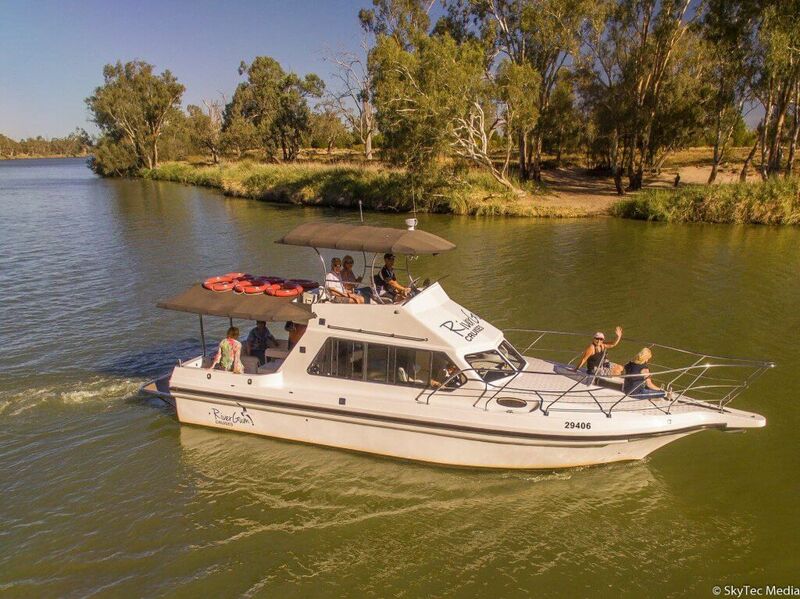 Waikerie is a rural town in the Riverland region what a fun way for a group of friends to enjoy the day together! This cruise is about 6 hours long and starts at AUD $155pp. Have you ever experienced a paddle steamer? Let our experts take you to lunch at the Lock Cruise! This unique experience will take you to Lock 2 where you will have lunch before returning to the Waikerie riverfront. If you feel like take a stroll around the beautiful picnic grounds. This cruise is a popular one, especially with the millennials so grab your friends and join us! This cruise is about 6 hours and starts at AUD $155pp. If you have something specific in mind or a special occasion you need to plan we offer the option of designing your dream cruise. Your options are wide open from overnight cruises to 3-hour cruises. Design it around your passions; whether it is bird watching, sunsets, cliffs, cuisines, wines, we can make it happen. You can even stop in the middle of the river for a swim and a BBQ or even fish. Fresh fish on the BBQ is heavenly! These customised cruises start at AUD $250 per hour with a minimum of 3 hours. We also have more types of cruises to offer so, please call us and talk to us about what suits you best. We will be delighted to help you. You can call us at River Gum Cruises, 0477333896.